The last several weeks the next bus arrival website (and apps using Metro’s data) have been WAY off. 1. 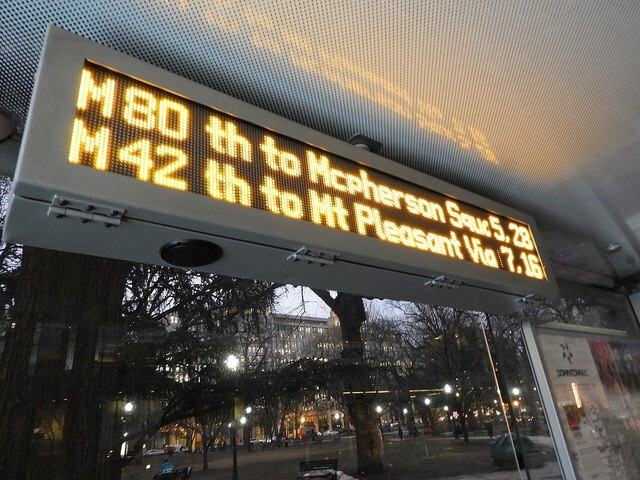 Bus location and arrival data routinely doesn’t show up–it’s like every other bus is a ghost, totally invisible. 2. When bus arrival data shows up, it bounces around substantially. For example, I checked the website app at 8:10 a.m. and saw the bus was supposed to show up in 15 minutes (8:25 a.m.). When I checked again at 8:15 a.m., the bus was 2 minutes away, arriving at 8:17 a.m. That’s nuts. The ETAs are insanely inaccurate when they are listed. Nickie Lou What kind of dog is Ginger? Soooooooo cute!!!!!!!! Copyright © 2006-2019 Prince of Petworth LLC. All Rights Reserved.